I suppose that a ‘vehicle’ could become as much a part of a family as anything else. 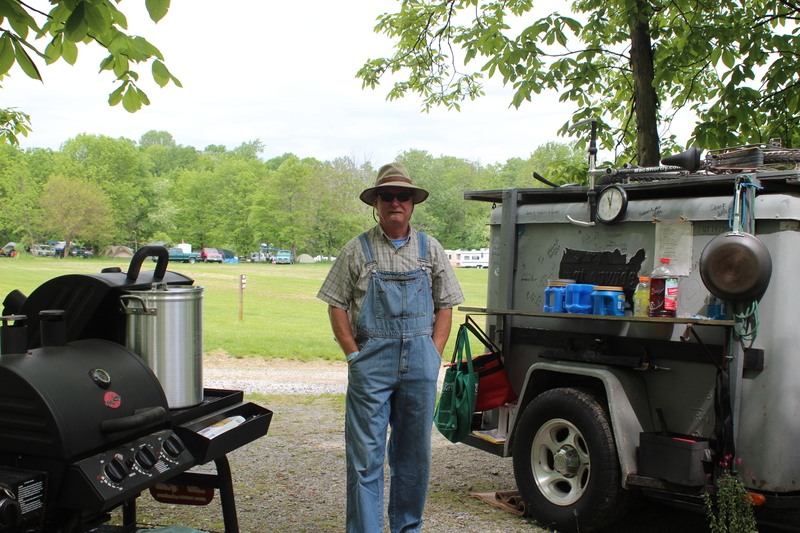 What I know for sure is that for more than two decades this little trailer (our ‘Chuck-wagon’) has certainly supported my families growth and directions. 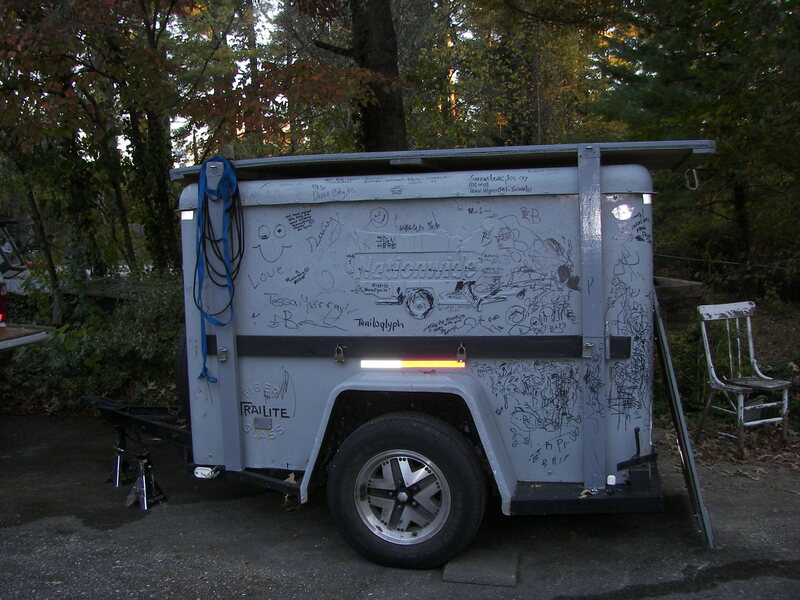 Years back I wanted a small enclosed trailer to haul my son’s motorcycle around with, so a good friend (Larry Riddle) and I took a ride in search of such a thing. As we ‘worked’ to the newer stock towards the front of the lot a salesman approached – I inquired about a few of those shiny models, and then asked about the little relic in the rear of the lot. He checked; and at $250 bucks the price was right. 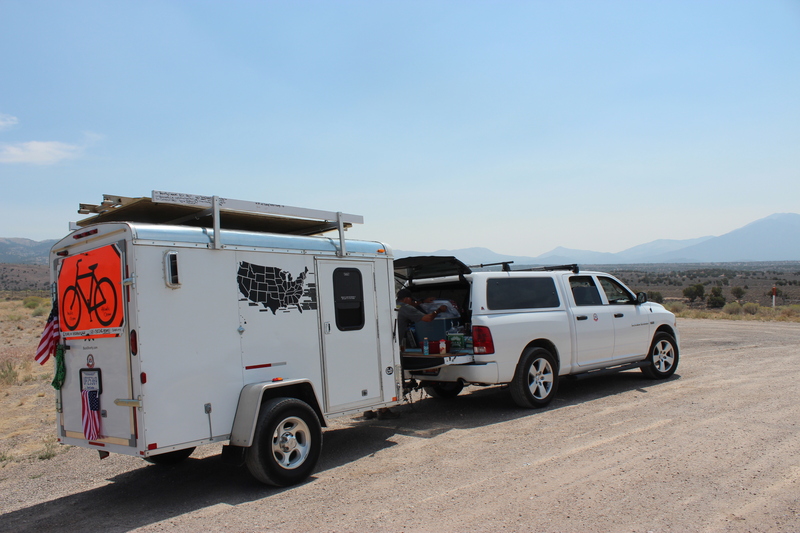 It was a discarded Nationwide Rental Trailer (U-haul was once a competitor to Nationwide) and as bad as the trailer appeared – it was exactly what I needed. The frame was solid and well-built ; from there whether anyone else saw the beauty or not, I saw ‘life’ under that thick coat of neglect. .
As a teenager another lesson from Dad was how to ‘soap down’ the old equipment that he had traded for so that he could ‘shoot a coat of paint’ on it – to sell. Dad did good with that kind of stuff too. 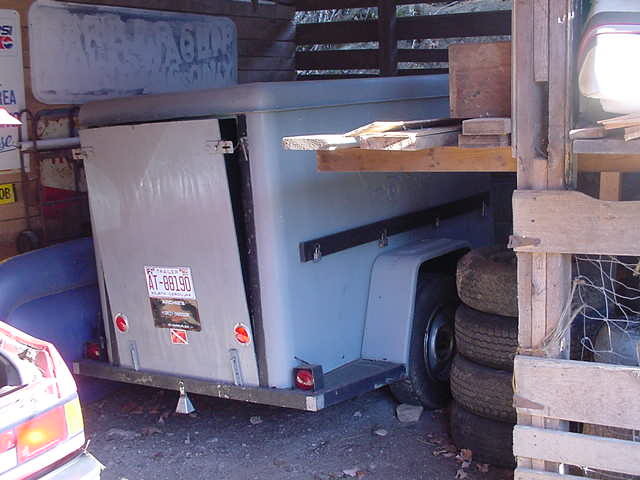 For me, picking up this ugly duckling was a ‘no-brainier.’ We aired the tires and pulled it home; followed by a drenching and soaking with a ‘box of tide;’ – a quick coat of the only paint around (deck gray) sealed the deal. 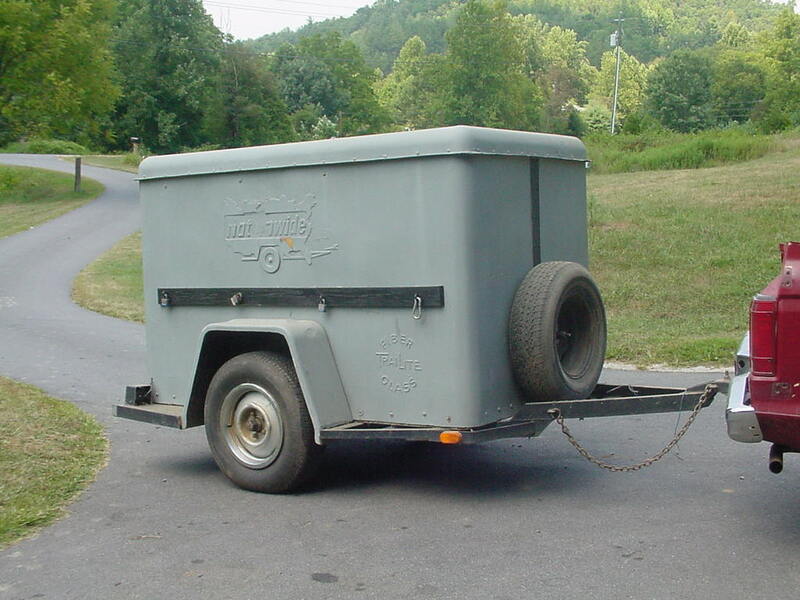 Dad called it a ‘suitcase-trailer,’ he pretty much had a name for everything (‘zip-stick’ little sports car, ‘whizzer’ weed-eater, and many others) but it’s small @4′ x 7′ size left little room for anything larger. 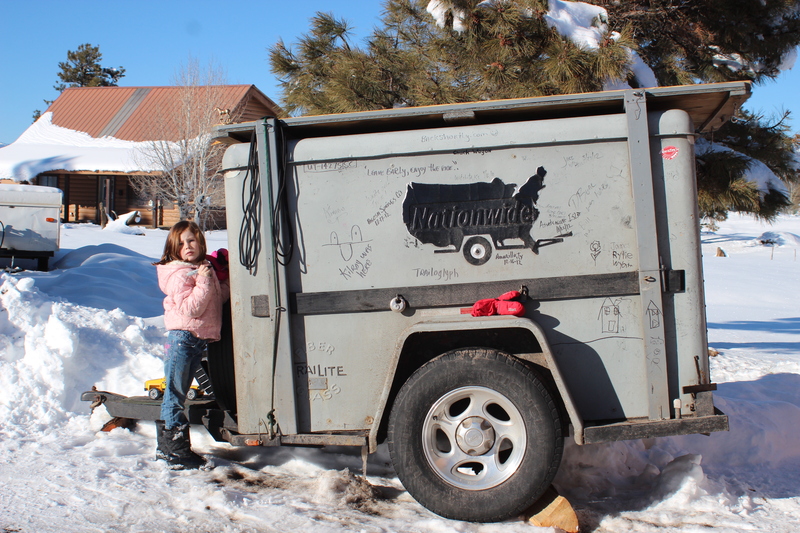 When pulled, you hardly knew the little trailer was behind – the plus was that when having it; it removed the ‘clutter’ from the kids stuff within the family vehicle. You packed stuff in before you went, and threw stuff in for the return. 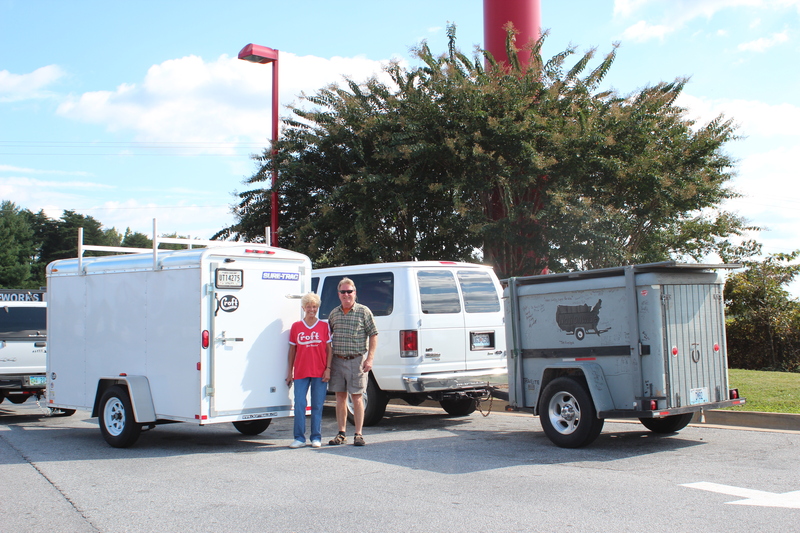 Over the years the little trailer supported my directions through numerous trips to Delaware, Florida, Colorado, and further. 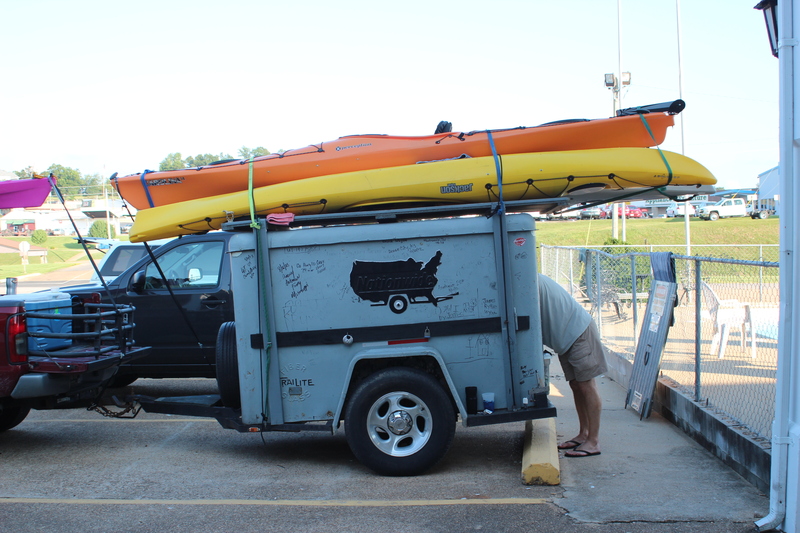 It moved kids to college, went to races (Sebring, Daytona, Charlotte), hauled stuff to flea markets, and moved smelly ‘man-stuff’ to/from coastal fishing and paddlin trips. 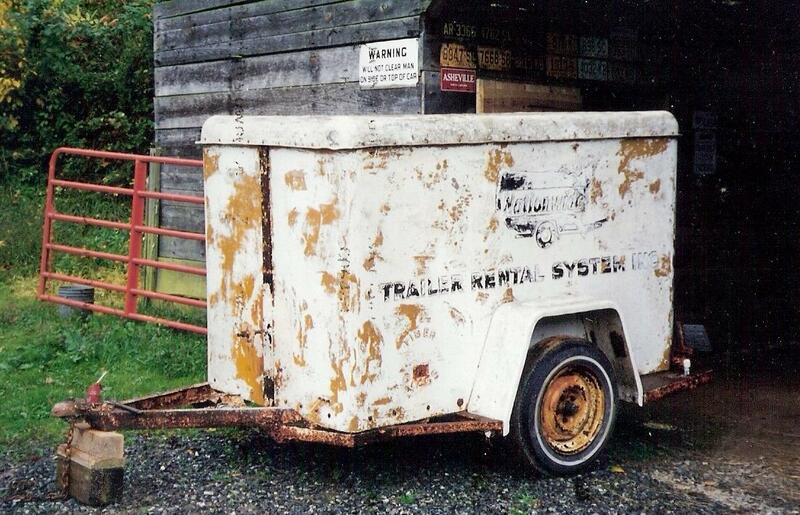 Unused, it waited diligently through time and weather in a dry corner of our barn. 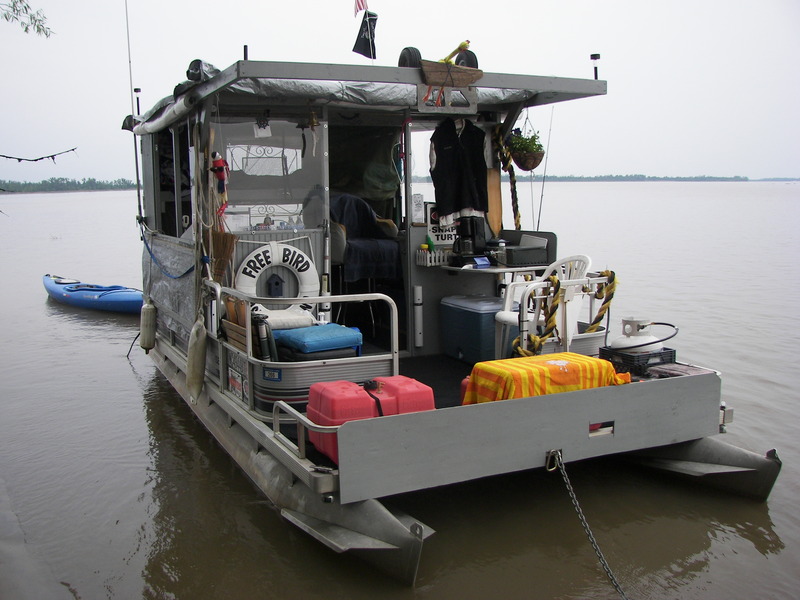 After a trip down the Mississippi river, I used wood from my scuttled vessel ‘Freebird‘ (our raft) to build a rack (and to protect the aging fiberglass roof from damage). Having a ‘sharpie’ pen was another ‘habit’ which began on the Mississippi trip and carried over to the little Chuck-wagon. – gray is a great color to scribble on. 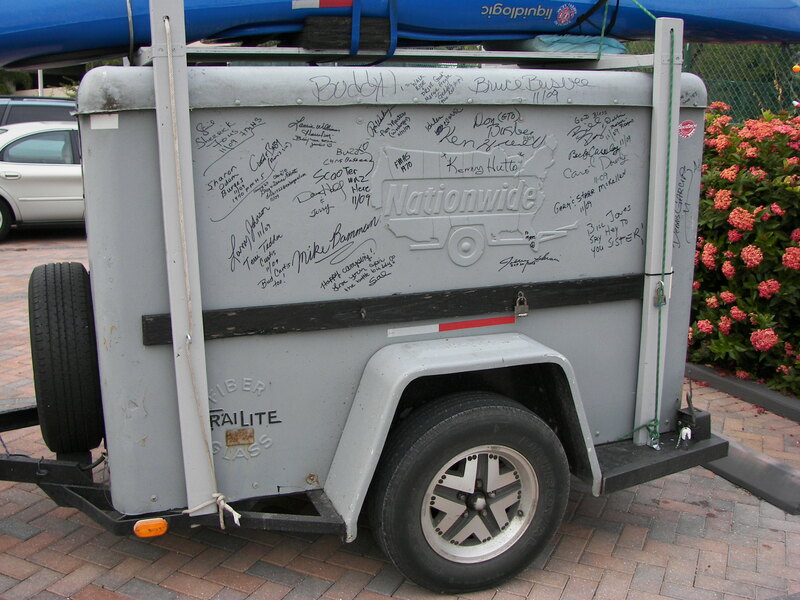 Anyone was welcome to write, or scribble their names on the chuck-wagon (even sharpie pens fade with time). This simple freedom has been a fun thing for all; especially the grandkids – the images and notes are a good ‘memory-jog’ for now grandparents. 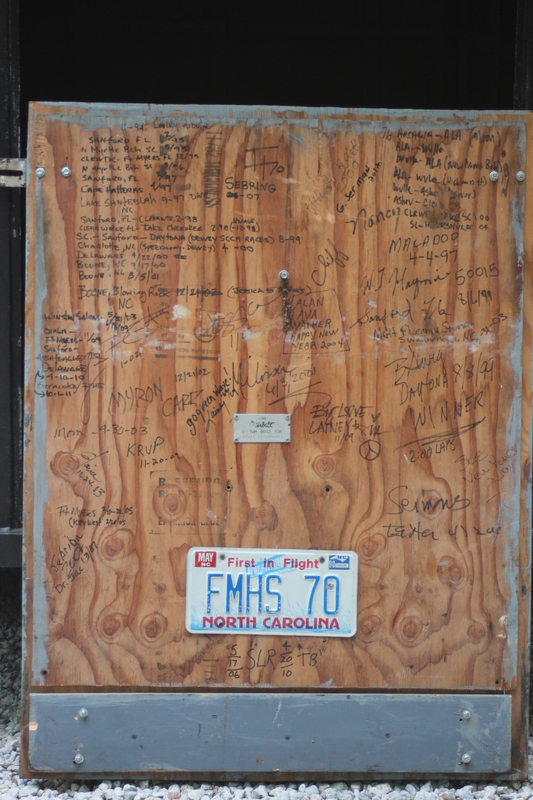 Inside the back door held more names of family and places long past. 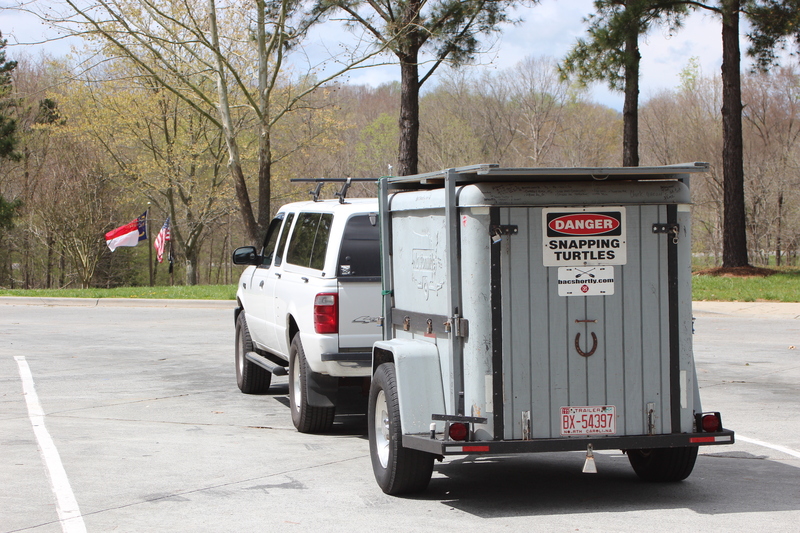 After retirement, the little trailer was the perfect paddle companion. The extra space continued to reduce clutter in my truck – an added plus; if I found ‘stuff’ along the way; I could haul it home……. I added taller tires to match my truck (in case a spare was needed out west), other than that the only maintenance required was in keeping the axle bearings greased every couple of years. Now for the reason of this post….. 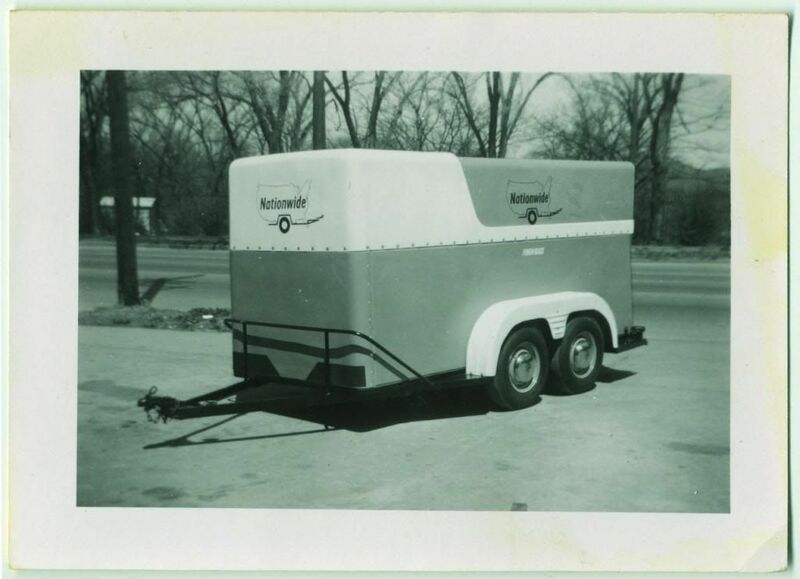 Earlier in the year out of boredom I ‘googled’ something about Nationwide trailers and came upon a contest by the original manufacturer – Croft family trailers in Kansas City. I forwarded some basic information about the trailer and then I forgot about it. Months later, I receive this email..
– could I, would I, trade my little buddy???? – with a tad of reluctance, heck yes…. 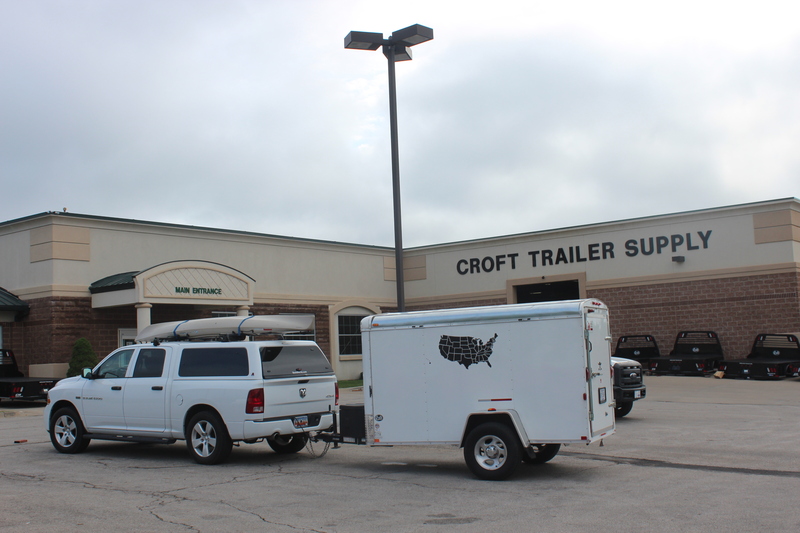 Thank-you Larry and Sandy Allen, plus Tim Oligmueller from Croft Trailers, you guys are great!…. The croft trailer continues to provide the best of support in a simple mans direction and with a sisters journey home https://www.facebook.com/groups/Helpoursoldiers/. As always – I love your writing. It was wonderful you see mom, dad and your dad’s signitures. Were you able to keep that piece?